What is FHMatch? 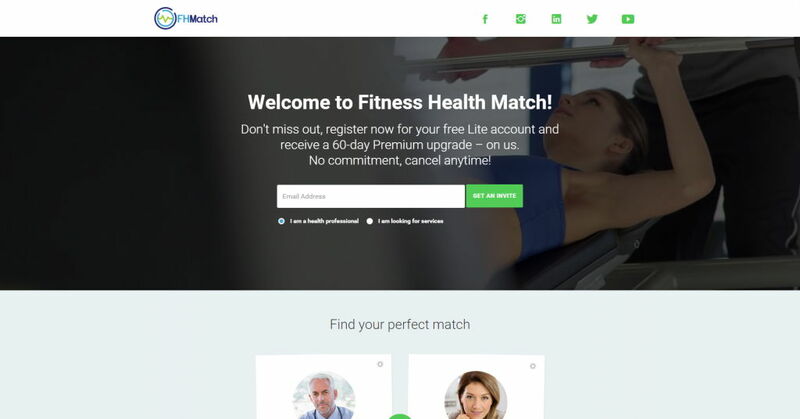 Well we’re not a dating website… but we will help you find a fitness, health or wellness professional in your area. Chat, book an appointment and review professionals all on FHMatch.com. Just search, select and connect to book your appointment. It’s always free, fast and easy to find your perfect match. FHMatch is a web based marketing gateway where professionals can showcase their skills, with video, photos, accreditations, website links and social media profiles. It allows easy access for consumers to find, chat and book professionals all in one place.